We welcome you to the website for Mark and Royal Ark Mariner Freemasonry in Northumberland. 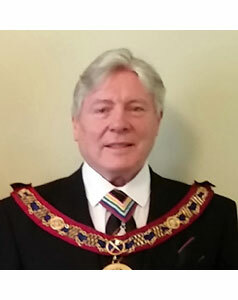 It is with hope that this website will be both informative and of interest not only to Freemasons but also to those curious to find out more about the order. The Mark Province of Northumberland and Durham was constituted in 1870. In 1920 Northumberland became a Mark Province in its own right and since then there have been ten Provincial Grand Masters. We are proud to have within the Province one of the lodges which formed the Grand Lodge of Mark Master Masons namely Northumberland and Berwick upon Tweed Lodge of Mark Masters. Northumberland is the most northerly Province in England forming a triangle with Tynemouth in the east, Berwick in the north and Haltwhistle in the west. There are twenty nine Mark and sixteen Mariner Lodges within the Province and around 650 members. To those of you reading this who are not yet Mark Masons can we extend a welcome to the Degree, it is rightly called "the friendly degree". Our ceremony has lighter elements in it, but like all Masonry carries an important message for us all. Why not come and join us and find out the joy and pleasure that we all get from the degree?